Whether you're a kid or an adult, everyone loves comics. 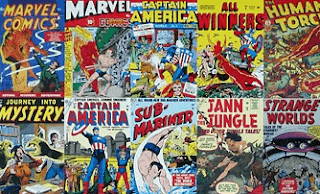 We all have our favorite superheroes, whose comics we have read from childhood. Have you ever tried creating your own comics? Don't worry, you don't need to be an expert graphic designer to create your very own comics. There are several excellent online comic creation services that are easy to use in creating comic strips. Here's a list of best online comics creating websites. Almost all of these services are free to use and provide very user-friendly tools to create powerful and effective comic strips in quick time. Whenever you want to create a short comic strip through one of the services, make sure you make a rough plot or idea about what you're going to portray in your strip. This way, you can easily choose the required elements while designing the comic strip. So, let's get started and see how we can easily create professional-grade comic strips even if we are a layman when it comes to making comics. Do test these handy services and select the best one. Pixton: It's one of the best comics creating service available in different languages. Pixton is available in three flavors - one for personal use, second for schools and last but not the least for businesses. As a general user, you can opt for personal use to create entertaining comic strips in no time. It's click-n-drag feature and the ability to create characters makes the whole comics creation process easy as well as a fun. You can also rate and comment on other comics strips and can also print, share and embed your comics strip wherever you want. Strip Creator: This comics creating site has one of the easiest set up that lets you create a short comic strip in no time. A pre-made random template speeds up the process and you only have to fill speech bubbles, alignment, and various other attributes. This site also has a large community that may help you in getting started with some good examples in their collection. There are dozens of pre-made characters in different categories to choose from. I've found this site very useful in creating short and effective comic strips and that too quickly. ToonDoo: It contains the most comprehensive set of tools with large collection of templates divided into dozens of categories. This makes the whole comics creation process extremely easy. Simple drag-n-drop interface, with the support of adding different attributes like emotions to a character, makes it an excellent choice for a general user. You can also embed different types of speech bubbles to get the desired effect. Once your comic strip is completed, you can save it or export it to a graphics format of your choice. A large community presents good examples of creating a comics strip. Strip Generator: As the name implies, this website lets you create amazing comic strips like a pro. You have frames, characters, items and text that are integrated together to get a complete comic strip. With strip generator, you can create a comic strip in less than 5 minutes. Simply choose the frame style, drag your characters, add any items and embed the speech bubbles. If you want to save it, you'll need to register for an account, or you can use the screen grabber to take a photo of your comic strip. This service is definitely worth trying. Bit Strips: This is yet another excellent comics making web site. You can either create an account or can log in to your Facebook account to get started. With tons of features, comprising of advanced editor makes it one of my favorite site. The collection of pre-made characters, props, and the associated attributes is awesome. Simply choose your set of characters and turn your script into a lively comic strip. You can also share it with your Facebook friends. There are several categories, where your comic strip can be featured if it receives good response from the community. Piki Strips: You need to register for an account, before you can start creating a comic strip on PikiStrips. It's a lightweight and very easy-to-use comic making service with a good community. The editor is lightning fast and so easy that your grandmom can also create a comic strip in no time. If you're a casual user who wants to create a comic strip in quick time, PikiStrips is the best choice. You can also upload your photos to PikiStrips, and can create a comic strip made from your own cartoon. This can be fun if you include your friends' snaps to create a hilarious comic strip. Comic Master: This is an excellent flash-based comic making website with a rich set of pre-made templates of very high quality. The range of speech bubbles and special effects included in the editor are amazing. Make sure you register for an account before you create your first comic strip. I liked the undo facility that saves the entire session so that you can roll back to any point since you started making your comic strip. This feature is very handy and lets you edit your comic strip with ease. Once you've completed your comic, you can easily save or print it with a click of a button. Chogger: The simplicity, minimalism and the ease of use makes Chogger, one of the best in this lot. You can import your snaps either in the form of a file or directly through a webcam to be included in the comic strip. You can set any image file as the background pattern. The simple yet diverse range of characters and powerful speech bubbles helps you in creating an amazing comic in quick time. You need to register for an account to save all your comics. The community on Chogger is very helpful and you can easily find a pro to help you get started. Comiqs: If you want to create a comic strip made entirely from photos, Comiqs is the best choice. Choose your favorite layout, add your photos, embed speech bubbles and your comic strip is ready to rock your friends. The editor is lightning fast and is extremely easy to use. If you're in hurry, you can also save your draft and can continue from your last session. Of course, this requires you to register for an account. The extensive range of speech bubbles enables you to add the desired effect. You can import photos either from the library, from your desktop or directly from the web. Comic Brush: You can use your own drawings, photos and readymade artwork (templates) to create entertaining comic strips through Comic brush. You need to register for an account before you can create your first comics strip. As usual, you'll find an excellent editor with easy-to-use controls. The templates in the library are good enough for a general user and you'll never need to import anything from outside. Once you've completed your comic, make sure you save it, else it will be deleted from the server. An associated comic making application for iPad is also available. You can also save, print and share your comic easily with your social network. Toonlet: It's webcomic blogging at its best. Simply create an account, and get your own comic blog where you can post your every comic. Visitors can comment and vote for your comic. The editor is simple and user-friendly. Toonlet is known to be the first few sites that support webcomics blogging. The collection of templates, layouts and characters is extensive covering almost every scenario to create awesome comic strips easily. I liked the flexibility in applying the number of attributes associated with each frame/part of the comic strip. Make Belief Comix: This is an excellent comic making option for online educational projects. Kids and teenagers will love this easy-to-use site to make interesting comic strips. The editor is very easy with the point and clicks controls and includes a wide array of templates. You don't need to create an account before you start your first comic making process. Simply load the editor, and get going. You can also print and email your comics to share with your real-world and online friends. The objects and props in the library enable you to create very lively comic strip very easily. Dilbert: You can create very fine short comic strips through this site, but you need to register for an account. The templates are amazing with a professional touch and the editor is extremely easy and user-friendly. Once your comic strip is completed, apart from sharing it with community and friends, you can also get the embed code to directly post on a website or blog. This handy feature lets you embed your comic strips very easily in your blog posts, therefore I'll recommend this site to publishers looking to embed short comic strips in their content. Witty Comics: It's a simple short comic strip making website that includes two characters and a background with speech bubbles. Choose from different backgrounds, your choice of character and the style of speech bubbles to create a comic strip in few minutes. This service is ideal for beginners and enthusiasts. If you want to save your comics, you'll need to create an account on this website. You can also export, print and share your saved comic strips. The simplicity and easy process make it a popular short comic strip making service. Go Animate: It's one of my favorite sites to create animated comic videos. You don't need an account to create a comics animation, however, you can use your Google or Facebook account to connect with this amazing comic making a website. The flash-based editor is super simple and once your animated comic motion video is ready, your friends will go nuts after watching it. A large collection of templates with different categories makes the animation creation process easy and fun. I'd recommend this site to budding graphic designers and enthusiasts.